Being in an interracial relationship, you have to be extremely tolerant of each other’s rituals, beliefs and conventions for your relationship to have any chance of progressing. Couples might have different religions or values. Eastern cultures tend to be more group-oriented and collective whereas Westerners are more self-oriented and individualistic. However, interracial couples have to put all these differences aside and develop a powerful bond to balance each other out. Interracial couples have to face numerous difficulties when society, community, friends or family don’t understand their relationship. And undoubtedly, it takes a lot of bravery to face theses challenges and sacrifice everything that’s important to be with someone they truly love and care about. Not only this, so much strength and courage is needed to remain committed to your partner as well as your culture. Although interracial couples do look beautiful together, some of them even look mesmerizing. Partners of different ethnicities or races look beyond physical appearances. This is perhaps one of the major reasons why they fall in love with each other in the first place! They always appreciate people of different backgrounds and you will hardly come across any interracial couples that have the natural desire to discriminate. 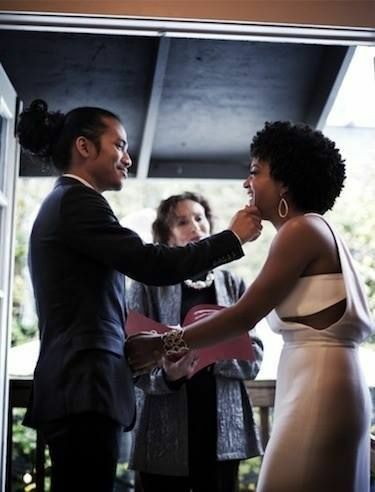 Interracial couples are exposed to new cultures, but they are quite open to experiencing it and that is something rare to find today. This could mean getting used to traditions or customs you are unfamiliar with, trying new foods or listening to new kinds of music. When both partners are from different backgrounds, it brings more curiosity and adventure to a relationship. Last, but not the least, how can we forget about the babies? Interracial marriages bring forth the opportunity to have beautiful mixed babies. These children are exposed to different cultures, values and traditions from a young age. As a matter of fact, they may also grow up to speak more than two distinct languages. And if you remember your biology class even a little, genetic diversity is huge plus in many ways! So, are you in an interracial relationship? You truly get to experience a lot of positives in life, which far outweigh the negatives of the society. You should be proud of who you are and flaunt your beautiful relationship for the world to see! © Copyright 10BestInterracialDatingSites.com, All Rights Reserved.